"At first I was embarrassed to carry a broom, mop, and vacuum to work, but then I realized that knowing how to clean and help people who need my skills is something to be proud of." My name is Juana Aguilar and I'm from Mexico. 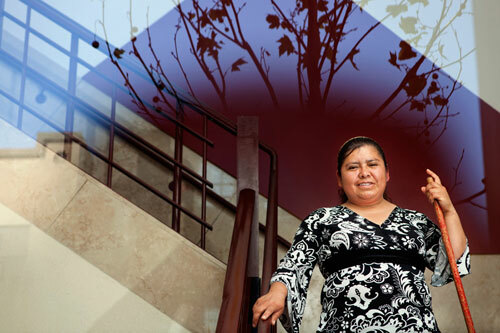 I'm a member of La Colectiva de Mujeres, a project of La Raza Centro Legal. I feel proud of the work I do as a house cleaner because for me it is more than just a job. I feel that each time I go to a house, I am going to help people who need my help because they are too busy in their jobs, but, like me, they want a clean house so that their family and their pets can be healthy. I feel happy when I leave a house clean. Going to each house also helps me to be a better mother and wife as I am helping my family by providing what they need. I know how to interact with a boss so that he or she will be satisfied with La Colectiva's work. I always ask how much time they want me there and what they want me to clean – that way we have good communication. With La Colectiva I have learned how to be a better person, and I want to continue to learn more everyday. With the non-toxic cleaning products that we use, I feel happy when I return home – I don't feel dizzy nor do I have a headache or cuts on my hands. At first I was embarrassed to carry a broom, mop, and vacuum to work, but then I realized that knowing how to clean and helping people who need my skills is something to be proud of. We are doing good work, because without cleaning... well, cleaning is just something that is natural and necessary. I feel proud to represent La Colectiva de Mujeres and to be a housekeeper. 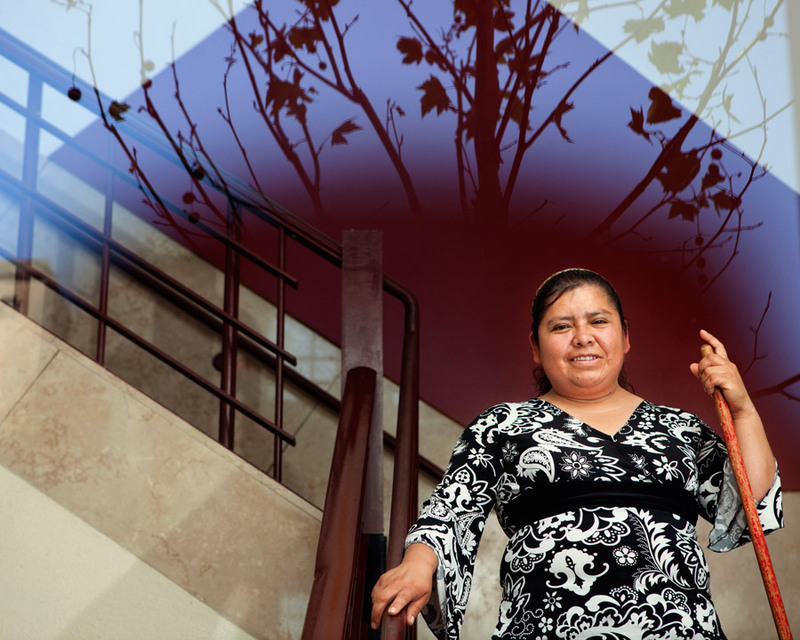 "Profiles in Strength & Dignity" showcases the extraordinary women of La Colectiva. In striking photographs and moving narratives, the exhibit offers a glimpse into these women's important work—as wives, as mothers, as housecleaners, and as activists fighting for rights and representation. BANNER PHOTOGRAPH BY JOSEPH CULTICE, PROFILE PHOTOGRAPHS AND AUDIO RECORDING BY ALISON YIN.